Thurmaston born William gave up the family Ironmongery business in Cambridge in his late forties and came to the White House in Church Street, Rothley, to live the life of a country gentleman. 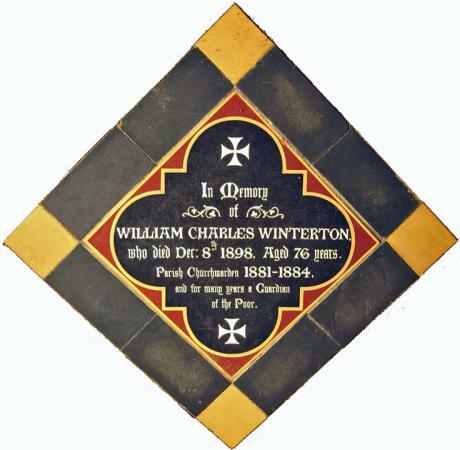 From the evidence of the tile he clearly played a large part in the caring Church & Vestry. His met his wife Elizabeth, a native of Saffron Walden, while in Cambridge, and she died in 1895. They are both remembered on a headstone in the churchyard.